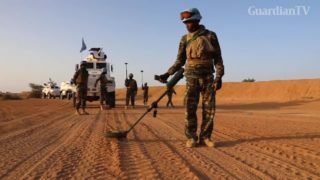 Guinean peacekeepers with the United Nations Mission in Mali carry out routine de-mining operations in a restive northern region where explosive devices continue to pose a threat. 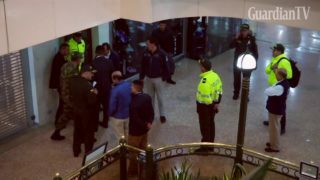 Three women were killed and nine wounded after an explosive device detonated in a restroom in a busy upscale shopping center in Colombia's capital on Saturday. 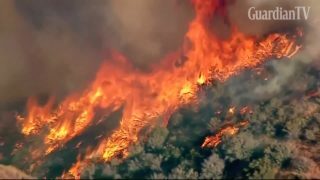 Firefighters are battling an explosive wildfire Saturday, which has blackened more than 500 acres at Castaic Lake in California.